IndiGo will introduce new daily non-stop flights to Port Blair from Kolkata and Chennai effective September 28 and September 30, 2016, respectively. Port Blair will also be connected to Delhi (via Kolkata) and Hyderabad (via Chennai). The airline will also launch additional frequencies with daily non-stop flight between Delhi & Kolkata, Delhi & Chennai and Hyderabad & Varanasi sectors. The arrival fares for Kolkata-Port Blair flight is Rs 3499, Chennai-Port Blair flight is Rs 4499, Delhi-Port Blair flight is Rs 5999. 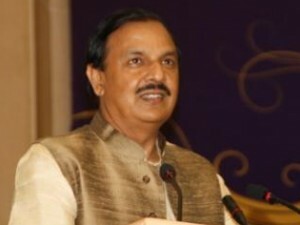 Speaking on the launch of new flights and the addition of the new destination, Aditya Ghosh, President, IndiGo said, “We are extremely pleased about adding Port Blair as our 41st destination. It is going to be an important part of our destination network, catering to the needs of both business as well as leisure travellers, looking to embrace the deep blue waters. In addition, IndiGo will connect holy city of Varanasi with Hyderabad with daily non-stop service. Clearly, these are exciting times for the aviation industry and for us, as we are now in the 11th year of operation. 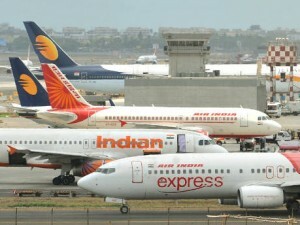 We thank our flyers for their unflinching support in these past 10 years and we will continue to provide them an on time, hassle free and affordable flying experience.” On the international sector, IndiGo in August launched first daily non-stop flight between Chandigarh-Dubai and second daily non-stop on Kochi-Dubai sector. 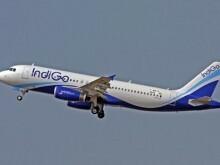 On the domestic front, IndiGo also recently introduced additional frequencies in Agartala – Kolkata sector, 1st non-stop flight on the Kolkata-Visakhapatnam-Kolkata sector and 5th daily non-stop flight between Kolkata and Hyderabad. Scoot will commence its Jaipur–Singapore flight from October 2. Scoot has named its first plane landing in Jaipur ‘KamaScootra’ taking inspiration from the ancient Indian text. With this, India becomes the second country after Singapore to inspire an aircraft name after it for Scoot Airlines. The plane will have 335 seats, including 21 premium economy. There will be three flights every week from Jaipur to Singapore till October 29 and afterwards, the frequency will be increased to four. 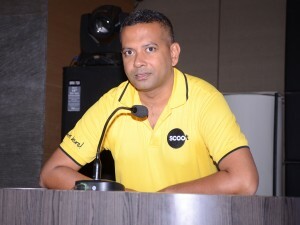 Bharath Mahadevan, Country Head, India, Scoot, says, “At this point, our focus in India is building guest awareness on our propositions – value, choices, innovation, and service with Scootitude–and getting them to experience why Scoot has been ranked Asia-Pacific’s top LCC for two years running. With Jaipur, we take another step towards the target of steadily increasing our operations in India.” The Singapore Airline Group will offer affordable fares from Jaipur to Singapore and other destinations like Melbourne, Sydney, Hong Kong and Bangkok. The fares will range from Rs. 4,699 onwards. The sale period starts on September 01 and ends on September 11, 2016. 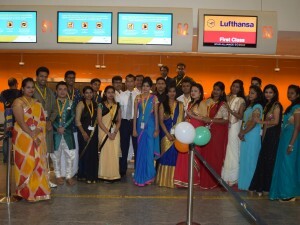 To mark the occasion of India’s 70th Independence Day, Lufthansa Passenger Airlines made every passenger feel special by extending an Indian reception at Bengaluru’s Kempegowda International Airport. On August 15, 2016, Lufthansa passengers were greeted by ground staff donned traditional attire and tri-colour decorations. 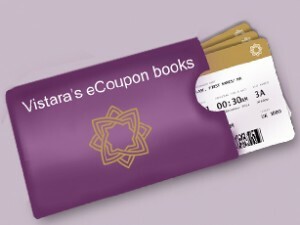 In addition, passengers were gifted sweets as well as an Indian tri-colour upon check-in. With this initiative, Lufthansa once again demonstrated that it is an airline with a “Soul of Germany and a Heart of India”. 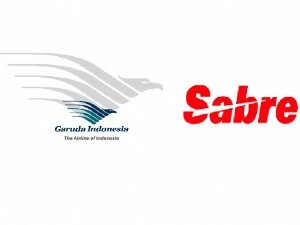 Garuda Indonesia, the national carrier for Indonesia, has partnered with Sabre AirCentre Enterprise Operations portfolio, making Sabre Corporation its primary airline operations technology provider. Sabre technology will power connect airline operations, improving airline profitability and customer experience as Garuda pushes international expansion. Sabre Airline Solutions’ Operations and Crew Technology Platform will enhance Garuda’s aircraft tracking, disruption control and prevention, and crew management operations. “Southeast Asia’s airlines operate in an environment of resource-constrained infrastructure and volatile weather conditions. 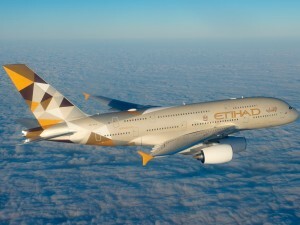 We are working with carriers in the region to create a more connected airline that can optimise operations regardless of these regional challenges. Using more flexible, reliable and scalable technology, Garuda will improve crew and fleet utilisation and safety, drive operational efficiencies and introduce quicker schedule recovery –ensuring a better and more consistent traveller experience,” says Dasha Kuksenko, Vice President and Regional General Manager, Sabre Airline Solutions, Asia Pacific. Garuda recorded a 13.4 percent increase in available seat kilometers (ASK) in first quarter of 2016. Benny Butarbutar, Vice President-Corporate Communications, Garuda Indonesia, added that Sabre’s technology will support the airlines’ growth plans. “Sabre’s enterprise operations solutions will give us a far more sophisticated approach to managing our operations, crew and the impact of disruptions. This in turn will help us improve profitability and drive customer loyalty. As we pursue further international network growth, which is critical to our long-term strategy, the platform will also help us streamline operations across multiple geographies,” said Benny.